There are two different ways to approach My Morning Jacket: threading slowly or just jump in and pray for the best. This applies to water bodies too and curiously enough, this album is called The Waterfall. Once again, My Morning Jacket‘s musical style changes, spiraling from Jim James‘ sweet crooning. Whereas Evil Urges loved schizophrenic 70s rock tropes and Circuital embraced a gloomier taste of rock, The Waterfall takes back the more intimate folk Americana from their more reverb-heavy vocal era, but just enough to offer a friendly hand. The band continues to change and that’s a necessity: a body of water that doesn’t move stagnates. There’s a clear amount of sadness in these tracks. ‘Like a river’ is a dreamier passage through nostalgia and whatever pain is being conjured up, the soothing vocalizing and peppy sounds giving a slight hint of hope hidden inside the avalanche. ‘Believe (Nobody Knows)’ feels like an affirmation repeated at the crack of dawn. The delivery of “believe // nobody knows”, paired with that powerful guitar chord, could be as cheesy as port salut in any other band’s hands, but we are talking about My Morning Jacket: they do things different here. Now, this doesn’t mean that there’s always a silver lining in those clouds. ‘Get the point’ conveys a sense of acceptance. It’s part of the Americana genre, I guess, that acceptance of bad things happening as way to heal. ‘Big decisions’ & ‘Compound Fracture’ are very radio friendly and whenever you feel a bit overwhelmed by the moodier parts of the album, these two are a port in the storm. On my fourth listen to The Waterfall, I realized something: Jim James‘ solo album sneaked its way for the duration of one track and from that inch given, several yards are taken. As powerful as ‘Victory Dance’ was in Circuital so is ‘In its infancy (The Waterfall)’. 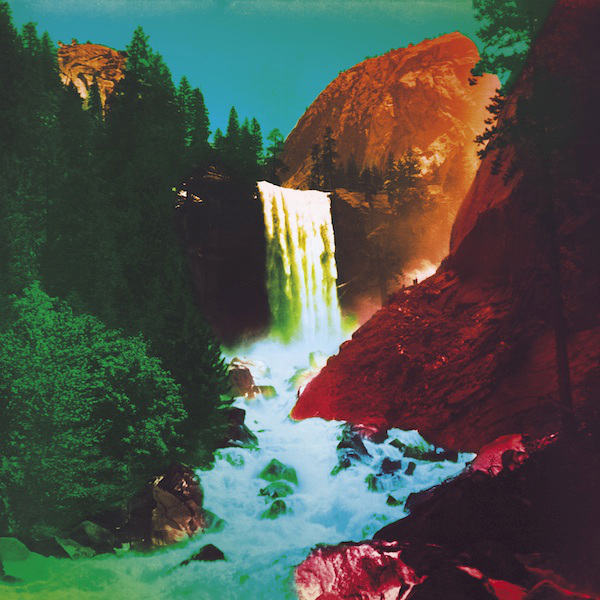 The dynamic changes of mood, changing from that euphoric spiritual communion to that lovely alt country sound they love to an urgent rock break, ‘In its infancy (The Waterfall)’ is a vertiginous trip through the life and times of My Morning Jacket. This is a clear stand out moment of the album and if nothing else catches your attention, give this one a chance. It’ll grow on you very fast. There is a clear schism in My Morning Jacket fandom: those who devour every single album they release and those ones that moan “they sold out with Evil Urges“. This is a schism that you see in bands in a diverse spectrum that goes from The Smashing to Weezer. Such is the way of fandom, they complain because they love and identify with one stage of their beloved artist. My first My Morning Jacket album was Evil Urges but my fave will always be Circuital because it was the album I heard when I went through a terrible break up. The Waterfall‘s relishing sounds acknowledge that there will be pain and tragedy in this life, but accepting them is the first step into healing. Let this cascade wash it all away. Posted in rant, reviewsTagged Introspection, Jim James, My Morning Jacket, The WaterfallBookmark the permalink.